Henry Lee Stockman, 83, a native of Marengo County, Alabama and resident of Saraland, Alabama passed away peacefully on Saturday, November 24, 2018. 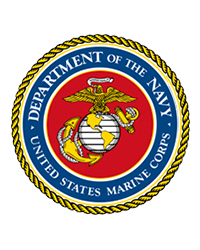 Mr. Stockman honorably served in the United States Marine Corp and retired from Scott Paper Company with over 25 years of service. He loved to play dominos, was an avid Alabama football fan and enjoyed spending time with his family. One of his favorite snacks was a Klondike bar which his granddaughter made sure he had several boxes of at all times. He will be dearly missed by all who knew him. He was preceded in death by his wife of 53 years, Edith Mae Stockman; and brother, Benny Morris Stockman. 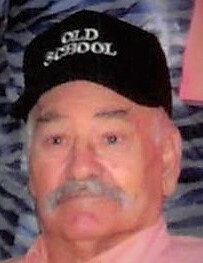 Those left to cherish his memory are his children, Jeanie Bird, Twyla Turner (Marvin), David Michael Stockman, and Keith Selton Stockman; grandchildren, Tommy Ray Oakley, Sr., Tina Rena Glassen, Tammy Jo Head, Tabitha Oakley, Ashley Robinson, Michael Wilson, Kayley Wilson, Keith Colby Stockman, Byron Stockman and Travis Stockman; 17 great grandchildren; great-great granddaughter, Ariel LeeAnne; siblings, Jr. Stockman, Juliet Andrews, Winston Stockman, Buddy Stockman, Sister “Betsy” Perry, Janie Hawks, Linda Sue Ward, Joe Stockman, and David Eugene Stockman; other relatives and friends. The family will receive friends from 1pm until the 2pm funeral service on Saturday, December 1, 2018 at Freeman Funeral Home. Burial will be in Pine Crest Cemetery. Online condolences may be given at www.freemancitronelle.com. Freeman Funeral Home – Citronelle, Alabama.